Playful is not a word that generally describes me. Even as a child, though I had a great imagination and I did like to play, I preferred being included in adult conversation over ‘just’ having fun. I guess I have always been a rather sober person who takes my responsibilities seriously. Too seriously sometimes. As I pondered and prayed recently over what I could do to create my marriage and my mothering to be more powerful, connected, and happy, the answers that came to me, for both areas, were to PLAY more! I was surprised. I generally rank playing far below other more spiritual pursuits, although I know it is important for kids to play. But for ME to play, that’s pretty optional isn’t it? I mean, I need to get the important stuff done first, right? But then, I realized that the very thing that has been bringing me the joy and healing in recent years has been, in a way, PLAY. I let myself explore and play with my gifts, rediscover lost interests, create and experiment and delight in possibilities. That playtime has been powerful for me. I thought about the short time my children will be in my home before they grow up and move away and stop wanting to play with me. My oldest son just surpassed me in height, and he only has 4 or 5 years before he will be considered an adult. He’ll soon be dating and driving and hardly home to play with. My youngest child may be our last baby, and she is barely a baby anymore. She likes to run with the big kids as much as she likes to be held. The time for me to learn to play and make it a priority is now. That ‘cleaning and scrubbing will wait for tomorrow’ poem is really true. Playing IS the important stuff. Smiling and laughing together needs to happen along with the scripture study and teaching and working together, otherwise the things that I do in an effort to bind our family together may have the opposite effect. I won’t go into detail about playfulness in our marriage, but suffice it to say, making it a priority to play with my husband and have fun together makes all the rest of the ‘serious stuff’ like handling finances, parenting, schedules, and decision making, so much easier and more enjoyable. We spent several hours playing a board game together as a family after church yesterday. Normally I tell the kids to do something quiet and reverent, like journal and letter writing, scripture reading, quiet activities, watching a church movie, etc. Sometimes we do interviews with them. But playing together first seemed to bring the light and warmth and unity of the spirit in faster than any of those things. And after we had enjoyed laughing and playing together, many of them chose on their own to do those nice reverent activities. One even offered to make dinner for me and put candles and decorations on the table to make it extra special. My 7 yr old said as I tucked him in that it was the best Sunday ever. I couldn’t have made that feeling happen even with my best sermon. Playing made us feel like a family. It made us feel one and delight in each other. I can see now that Playing is Spiritual. I want more of that spirit at my house! How about you? Empowering Action: Where does playtime rank on your priority list? Could it use a boost? Make some time to play with your kids, your spouse, and to be playful yourself with the things you love to do. 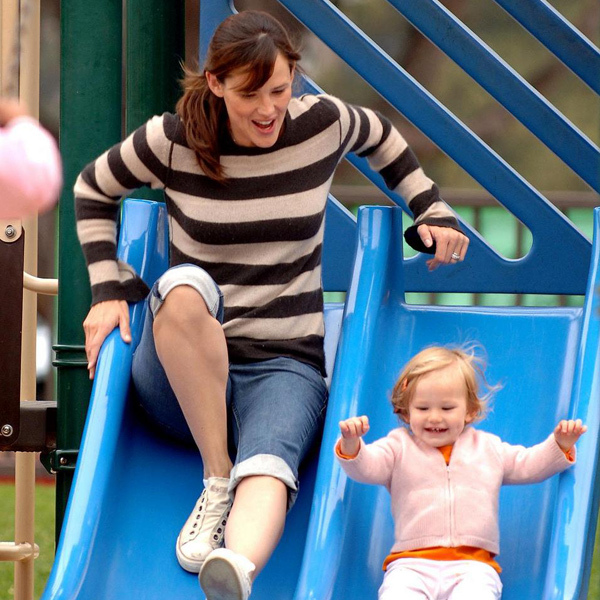 I’d love to hear your comments on how you make playtime a part of your day!